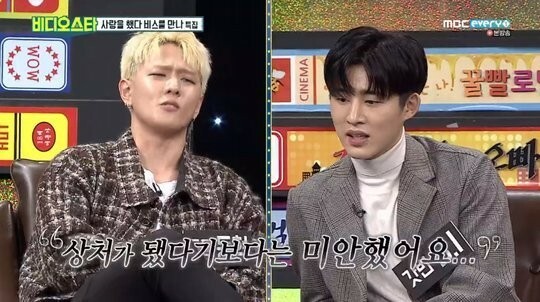 On the October 16 airing of MBC Every1's 'Video Star', Song Yun Hyeong�and Donghyuk�revealed they were hurt by B.I while recording in the studio. 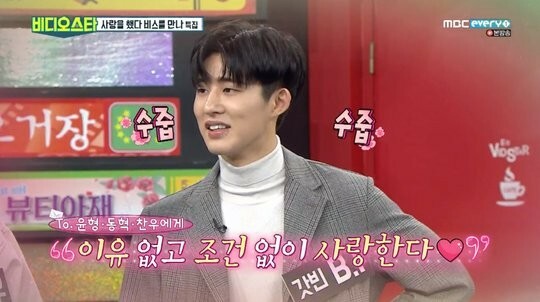 Donghyuk explained "I know why he's mad and criticizing but those words really dive sharply into the heart sometimes. There's a B.I level of anger. 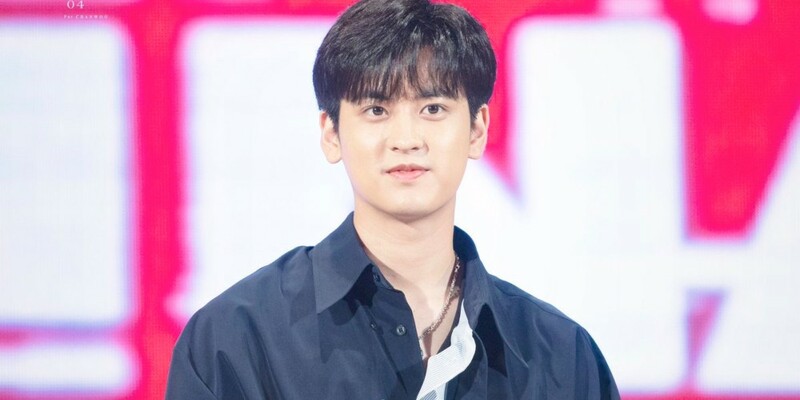 He lets out a sigh, then he turns silent when the anger reaches its peak. But in a way, I feel sorry too. I think he was frustrated because we weren't intending to do bad. We apologized afterward and worked things out well." 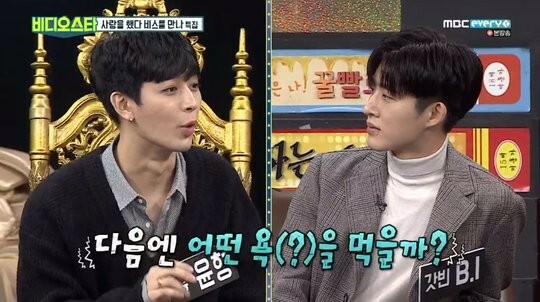 Song Yun Hyeong also said, "I feel sorry while recording but I end up doing badly even more because I get so nervous by his strictness. It's hard to control my mentality because I'm concerned about what he's going to say next. I get hurt during that moment." 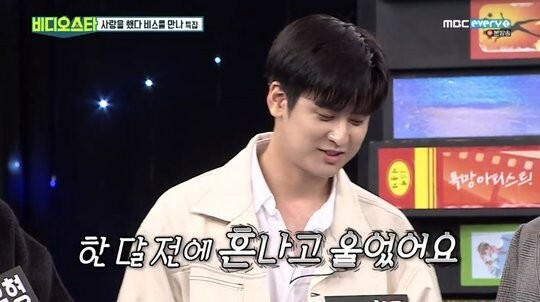 Maknae Chanwoo added, "I'm revealing this on 'Video Star' for the first time but about a month ago, I cried after getting scolded by Han Bin hyung..."
B.I�expressed affection for his members, stating, "Thank you guys for enduring my harsh words and criticism during recording. I'm sorry for using harsh words when I could've said it in a nicer way. I love and appreciate you guys."